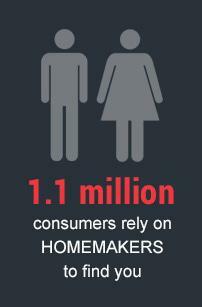 More than a 1000+ home-improvement companies rely on HOMEMAKERSfair for their home improvement advertising needs. For over two decades HOMEMAKERSfair has been showcasing the latest home-improvement products and services. 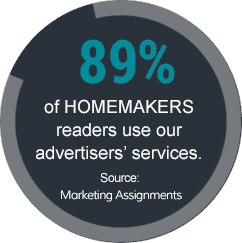 HOMEMAKERSfair delivers your business straight to consumers’ doorsteps, generates leads for your product and makes homeowners enthusiastic about your product. We also provide print and online advertising and events, which you can read more about here. Need more convincing? Check out our stats below.